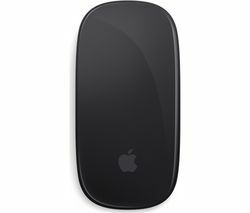 Whether you’re looking to replace or upgrade your existing Apple mouse, our range of Apple mice and trackpads gives you a choice of the latest Mac-compatible navigation devices. 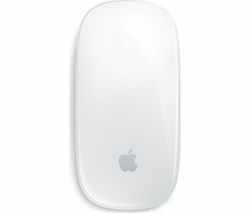 The Apple Magic Mouse 2 is the latest iteration of Apple’s sleek, multi-touch mouse. Lighter than ever, the Apple Magic Mouse 2 benefits from fewer moving parts and a continuous bottom shell, while the optimised foot design makes it easy to control the mouse. As you’d expect from an Apple mouse, it allows you to perform simple gestures on the Multi-Touch surface, such as swiping between web pages and scrolling through documents, giving you a smoother, more intuitive user experience. Another hallmark of Apple hardware is ease of use and the Magic Mouse 2 is typically straightforward to setup – it’s ready to use straight from the box and pairs automatically with your Mac. And, because it’s rechargeable, you won’t need to keep replacing the batteries. The Apple Magic Trackpad is every bit as elegant and user-friendly. With an edge-to-edge glass surface area that is almost 30% larger than Apple's previous trackpad, the Magic Trackpad 2 makes it easy to scroll and swipe through content in comfort. It’s also equipped with four force sensors beneath its surface. This allows you to click anywhere, detecting subtle differences in the amount of pressure applied to offer you greater control. Again, the smooth, intuitive usability you expect from Apple is beautifully realised. Our extensive range of Apple hardware also includes the latest Apple keyboard. If you’re looking beyond Apple, view all wireless mice to see models from Logitech, Rapoo and HP.